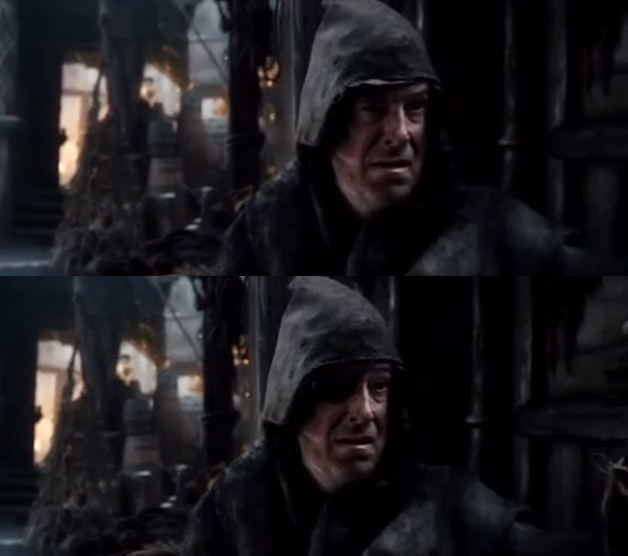 An eagle-eyed viewer on Reddit has discovered TV funnyman Stephen Colbert’s cameo in the recently released “The Hobbit: The Desolation of Smaug”. Sporting an eye patch, a hood, and a dirty face for a brief scene, Colbert is hard to spot. The user though provides both a description and screen caps showcasing the scene. Click here to check out the screen cap.